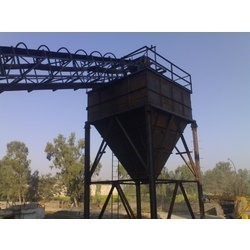 Supplier & Distributor of Ash Handling Machines. Our product range also comprises of Coal Handling Plant, Food handling Conveyors and Roller Conveyor. Ash Handling Machines are installed easily and provides smooth operation. We manufacture and export ash handling machines to our customers at competitive range. These machines are recognized for their high features like heavy weight, durable and long lasting service. These ash handling machines makes less sound and easily available in the market. Looking for Ash Handling Machine ?